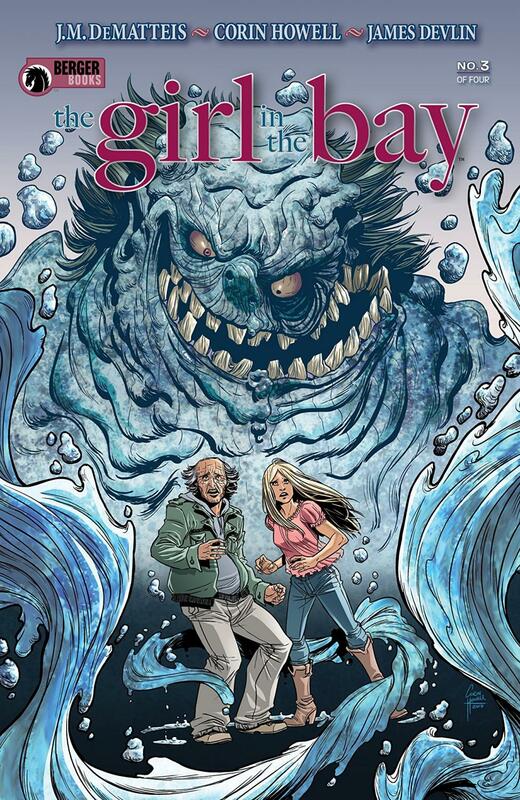 The Girl in the Bay could have been a story about a girl somehow waking up in the future, like many before it. But J.M. 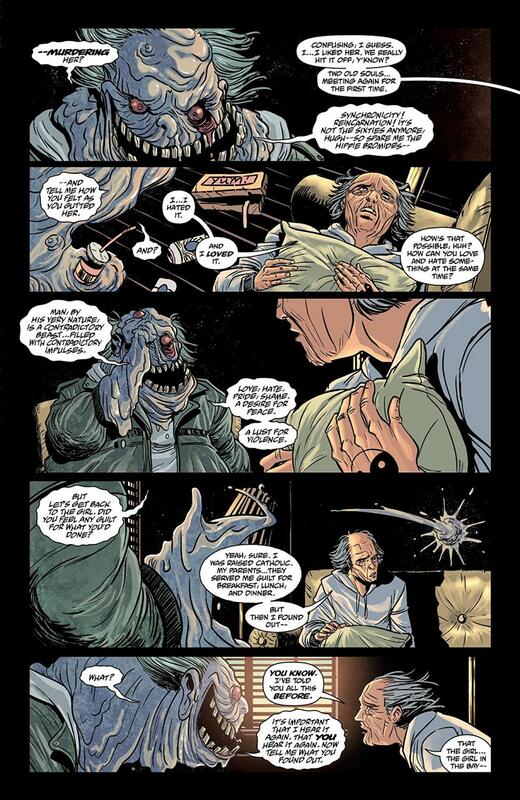 DeMatteis took an interesting concept and continued to expand on it by adding so many amazing and unique layers to the story. This was interesting in the first issue, but DeMatteis has really done a lot to add so much depth to it in the next two issues. This third issue is fantastic, plain and simple. It is so fantastic because the issue itself is definitely not plain and definitely not simple. 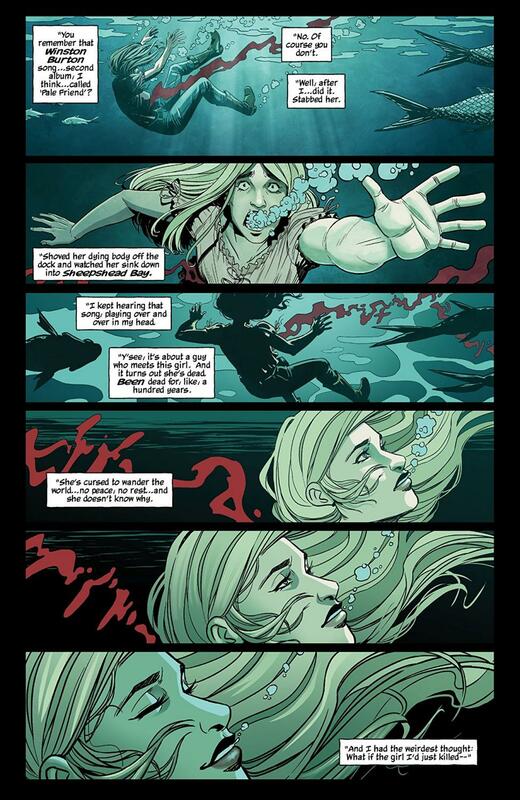 The Girl in the Bay #3 has my head running in circles to fully piece together what I’ve read. Who is real? Who isn’t real? What the hell is really going on here? These questions aren’t making the story hard to follow, these questions are pulling me in with a very strong force. The third issue satisfies my wants and expectations that have come from reading the first two issues. It is everything that I want for the story while also being so much more. With each issue, I’m also amazed how DeMatteis makes this normal length comic book feel so full and so long. The issue is packed with story and content, but not at all overstuffed. This feature makes this issue a great buy because it takes you on a long and intense roller coaster ride. There are so many moments in this third issue that are enhanced by the visuals by Corin Howell and James Devlin. 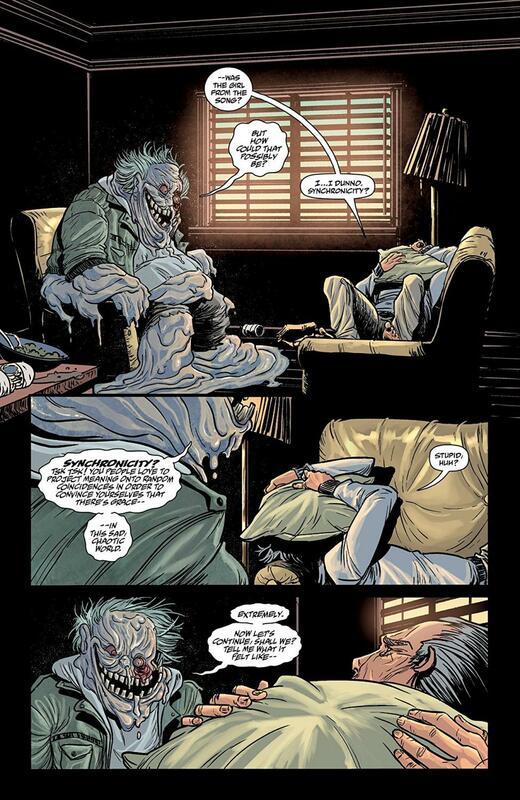 For a series that isn’t necessarily a horror series, there is plenty that creeped me out in this issue. The themes are definitely eerie, but Howell’s artwork is amazingly scary and very unsettling at times. She somehow makes things beautiful and slightly disturbing at the same time. Her work in this series, and this issue in particular, is so incredible, it makes me interested in seeing everything she does apart from this series as well. In other words, consider me a fan of Corin Howell. Devlin’s colors beautifully set each era and dream apart. There are so many times in this issue that we see things happen in different years, different visions, and different experiences and they all look like their own individual moments mainly due to the colors and illustrations. The Girl in the Bay remains a wonderful mystery that has me completely invested in its story. This third issue exceeds expectations by creating more levels that all increase the story’s creativity, beauty, and charm.